It is generally known that there are over 5000 music with DRM on Google Play Music, which protects music-makers from piracy. But it's precisely what hard-to-Unlock protection brought some inconvenience to download Google Play music. Even if you have purchased Google Play music, it doesn't allow you to directly get high quality MP3 Google Play music download onto your mobile devices. Moreover, each song can be only downloaded 2 times on the web through nothing but Google Play MP3 download function. So once you have run out the limited downloading times and want to download again, you need to find other ways to download Google Play music for iPhone iPad or Android devices, by courtesy of a YouTube Downloader, for instance. 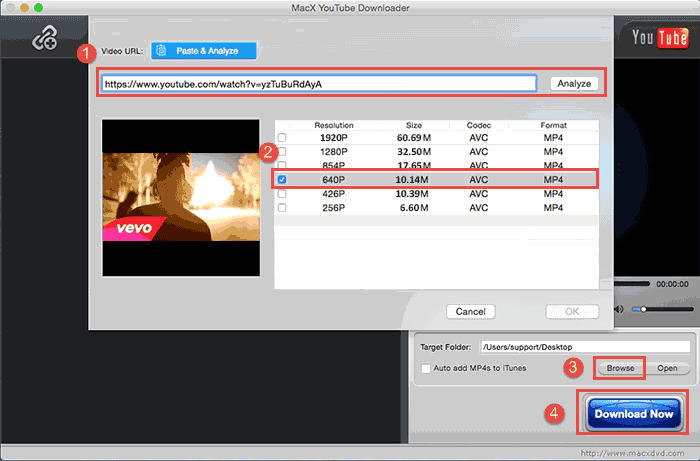 MacX YouTube Downloader - best-ever free music downloader to free download music MP3 MP4 FLV, etc. from Google Play Music, YouTube, Vimeo, Vevo, Facebook, SoundCloud, etc. 300+ music sites for playback on iPhone iPad iPod or Android phone or tablet. Common ways might be hard to meet your needs of downloading Google Play MP3 music. Thus some skills can be adopted for Google Play music downloading like Google Play Music All Access and YouTube Music Key. Here take YouTube Music Key as an example: since the grandiose plan of YouTube Music Key emerged, Google Play music subscribers are allowed to watch official music videos without advertisements and download Google Play music limitlessly on YouTube with a cost of 9.99 dollars per month. That is to say owing to Google music streaming to YouTube, you can enjoy listening and even download the latest YouTube music such as Taylor's Bad Blood and One Direction Drag Me Down freely. Thus a free music dowloader - MacX YouTube Downloader is enough for Google Play Music Download. Rather than a mere Google play music downloader, MacX YouTube Downloader works as a professional, ad-free, virus-free online video downloader, which can free download videos from YouTube, Facebook, Vevo, Dailymotion, Vimeo, and another 300+ video sharing sites. Regardless of any plugins, you can save the Google Play music from YouTube in batch with intact quality reserved as long as the music URL is available. In other words, you can get the same acoustical quality of 320kbps bitrate as Google Play Music if the YouTube music videos are downloaded by MacX YouTube Downloader. Moreover, this free Google YouTube video downloader also gives you the capability of automatically adding the YouTube MP4 videos to iTunes Library for transferring to iPhone, iPad, iPod or any other further use. Step 1: Free download this Google Play music downloader and run it. Click "Add Link" icon to enter the download interface. Find your desired Google Play music on YouTube. Then copy and paste the URL to the main interface of Mac Google Play music downloader. Click "Analyze" to load the music details. Step 2: Select the output format, resolution and file size in accordance with your iPhone iPad or Android devices. Step 3: Set the location of the output file. Specify a destination folder to save your desired downloading Google Play music by clicking "Browse". Step 4: Start downloading by clicking "Download Now". 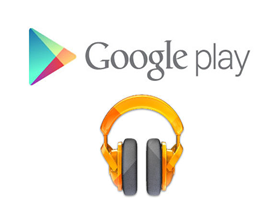 After all things done, you are capable of playing your desired Google Play music for iPhone, iPad and iPod etc. Alternatively if you do not want your music in video formats, you can efficiently upgrade the YouTube downloader to advanced edition named MacX Video Converter Pro which is experienced in video downloading and converting, photo slideshow making and even video recording. It will help you to convert the YouTube Music Key downloaded music video to MP3 of the same Google Play music MP3 quality by following the YouTube to MP3 converting steps. In addition, not just YouTube video to MP3, MacX Video Converter Pro also smoothly achieves conversion between formats such as FLV to MOV, MP4 to MP3, MKV to MP4, WebM to MP4, etc on Mac OS X (Yosemite/El Capitan) to be compatible with iPhone iPad Android devices.